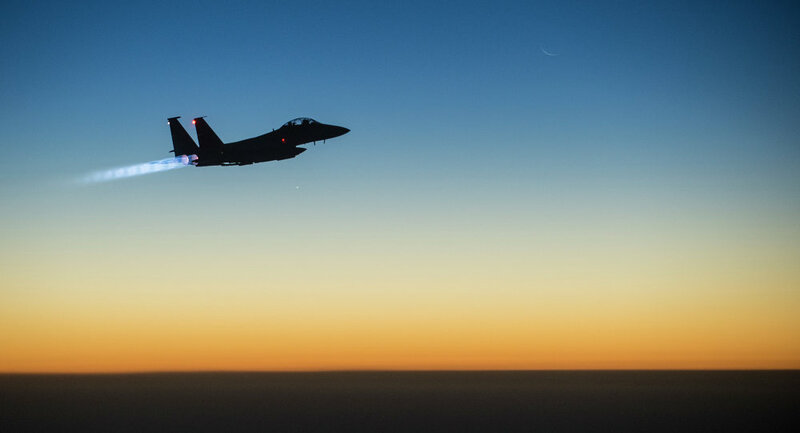 US Air Force F-15 fighter jets did not operate in the area where Russia's Su-24 military aircraft was downed in Syria, Joint Task Force Operation Inherent Resolve spokesperson Col. Steve Warren told reporters on Tuesday. On November 6, six US Air Force F-15 fighter aircraft arrived at Incirlik airbase in Turkey to carry out air patrols. A Russian Su-24M Fencer bomber jet crashed in Syria earlier in the day with two pilots aboard. Ankara claims Turkish F-16s shot down the plane because it violated the country's airspace. Contrary to Ankara’s accusations, Russian President Vladimir Putin said the aircraft was 0.6 miles away from Turkey when it was shot down. According to the Russian leader, the crashed aircraft was not posing any threat to Turkey when it was struck by an air-to-air missile from the Turkish jet. Both pilots of the Su-24 were able to catapult, the Russian Defense Ministry said.